We get quite a few questions about Retiree Drug Subsidy Reopening. If you’re unclear about an aspect of it, there’s a very real possibility that your question has been asked before. We’ve compiled a list of our most frequently asked questions to help clear up the most common inquiries. Q. 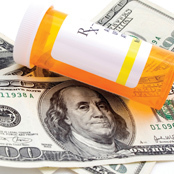 What is a Retiree Drug Subsidy (RDS) Reopening? A. It’s a process that allows Plan Sponsors to go back and “reopen” past reconciled plan years to see if they captured all eligible members and eligible prescription drugs that qualify for Retiree Drug Subsidy under the CMS RDS Program. Q. Why would CMS allow you to audit reconciled plan years? A. As with tax returns, errors can be made. CMS recognizes that Plan Sponsors and/or their vendors may not have the systems and processes in place to accurately identify membership and eligible prescription drug claims. Reopening reconciled plan years gives Plan Sponsors a second chance to capture the entire subsidy that they are owed. Q. What is the average additional subsidy after a Reopening? A. The additional subsidy recovered can vary significantly. Our experience is that recoveries can range from 0 to 25%. Q. Am I guaranteed to receive additional subsidy? A. Unfortunately not. If everything was filed correctly and no inaccuracies exist, there would be no additional subsidy. Moreover, if the inaccuracy resulted in a Plan Sponsor receiving too much subsidy, they must report this as part of the Reopening and return the excess subsidy funds to CMS. Q. How much do Plan Sponsors pay for this service if there is no additional subsidy recovered? A. Nothing. The fees are based on a percentage of recovery. If there is no additional subsidy, there is no fee. Q. Is there still value to me if there is no additional subsidy? A. Yes, by conducting the Reopening you help satisfy any fiduciary responsibility that you may have as a Plan Sponsor overseeing the RDS Program. Q. If there is additional subsidy, how does it get paid? A. The additional subsidy is deposited directly into the Plan Sponsors designated bank account. Q. If there is additional subsidy, how much would the Plan Sponsor pay for these services? A. RDS Services would bill the Plan Sponsor 25% of the additional subsidy amount. Q. How much time will it require on our part? A. Very little, other than the review and execution of our Agreements, completing a data collection form, identifying data sources, and appointing RDS Services as your RDS Program Account Manager.